In this tutorial we will see how zip/unzip files and folders in Ubuntu Linux. Zip is a very popular compression format used mainly in Windows. To zip files and folder in Ubuntu we need to install zip package. To unzip zip file we need to install unzip command. Both packages are installed by default on Ubuntu desktop version, but not in the Ubuntu server. AS you can see we can archive and compress one or more files together using the zip command. 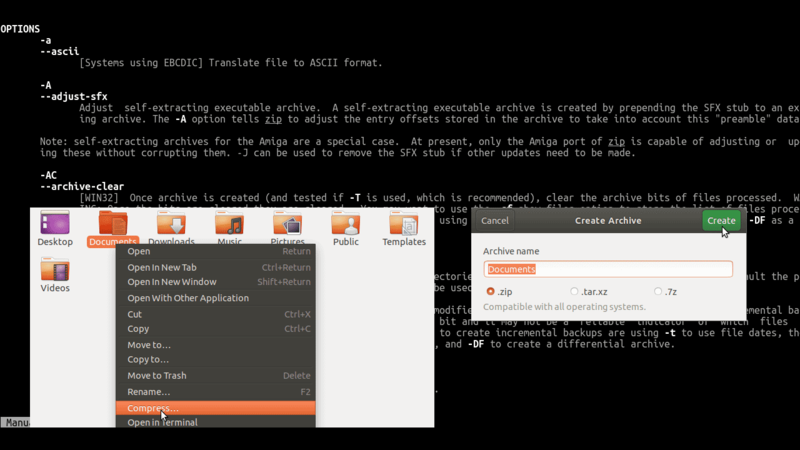 To create a zip file in GUI, right click on the file and select compress, then select archive format and click create. unzip will extract the file(s) to the /tmp directory. To extract zip file from the Ubuntu GUI, right click on file and select Extract Here to unzip to the current directory or Extract To if you want to unzip the file to a different location.